Radha began her yogic journey in 2014 where she fell in love with practicing yoga on a daily basis. She began teaching in 2016 and has received both her 200 and 500-hour Hatha Teacher Training as well as her 200-hour Kundalini yoga training from Yoga Yoga in Austin, TX. She has additional training in Pranic Healing, Gong Training, Patanjali Yoga Sutra, Reflexology, and Reiki. In addition to this, she is currently in her last year of training to become a yoga therapist. Radha’s teachings draw from studying alignment based asanas, pranayama, mudra, and meditation. When you practice with Radha you can expect to explore the mind-body connection and gain a deeper understanding of the traditional teachings of the Krishnamacharya Lineage. Her class is for everyone- whether you are looking for strength, flexibility, improving your health challenges, or emotional nurturing. Yoga is a process of moving towards wholeness and encourages students to have compassion, acceptance and loving-kindness toward themselves and others. Radha brings this yoga philosophy to each of her students to reduce and manage their stress, insomnia, injuries, and daily life style routines. Her teaching style is laid-back, soulful, and she creates a warm and inclusive classroom environment where all feel welcome, regardless of body type, age, gender, or level of experience. Continuously a student herself, Radha is always furthering her studies in Yoga. She has been learning about Ayurveda, Patanjali Yoga Sutra, Children’s Yoga, and Yoga Nidra. 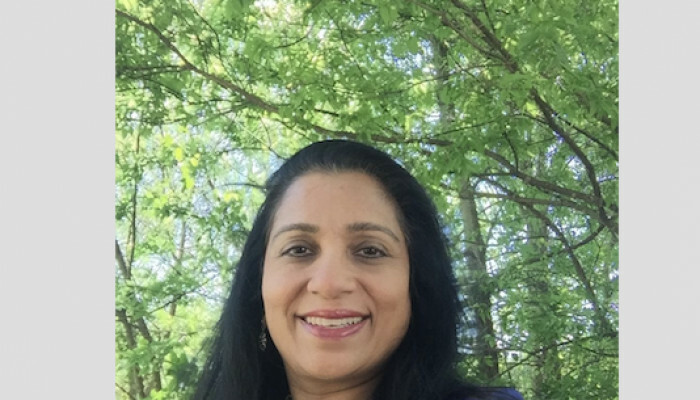 Radha is passionate about practicing yoga and sharing the healing techniques she has learned over the past several years. She believes in healing from the roots. Her motto is: Change your health, Change your life!